Dal has traditionally been the poor man’s main source of protein, so many analysts and politicians are wringing their hands. The government says it is arranging for additional imports of pulses, and is going to build a buffer stock of pulses to control prices in the future. But hold everything. The price of dal is actually about to crash. If so, the BJP can happily adopt ‘Arhar Modi!’ as a badge of honour, not disgrace. India suffered two serious droughts in 2014 and 2015. Good irrigation meant that overall agricultural production went up a bit. But rain-fed crops like pulses were very badly hit. Pulses production crashed from 9.53 million tonnes in 2013-14 to 7.33 million tonnes in 2014-15 and 7.48 million tonnes in 2015-16. The shortfall was far too great to be made up by imports, since few other countries grow pulses on a large scale. So, high dal prices were inevitable. But the monsoon this year has been excellent. In a perceptive piece, analyst Harish Damodaran has predicted that a bumper kharif crop could soon slash prices. High prices have induced farmers to increase sown area this kharif season to an estimated 120 lakh hectares, against just 78.2 lakh hectares last year and 66.5 lakh hectares the year before. The rabi pulses acreage is certain to shoot up too, buoyed by high prices. The next urad and moong crops are due in two months, and the arhar crop will arrive in December. Chana and masoor will come mainly next March. Excess rain could still adversely affect the crop, but the overwhelming likelihood is that dal prices will plummet, maybe halve. But even if arhar dal halves from Rs 180 to Rs 90 a kg, it will still be very expensive in historical terms. It will be more expensive than even eggs. Wherever irrigation becomes available, farmers switch from dal to rice and wheat, which are more profitable because of huge implicit subsidies for water, electricity and fertilisers, and assured government procurement. Because of the lack of enough varieties for cross-breeding, and hence limited R&D, no Green Revolution has occurred for pulses. They remain low yielding. So, their long-run prospects are poor, and will get poorer as irrigated acreage expands. Even if dal prices crash in the short run, dal will keep getting more scarce and expensive in the long run. The answer is to substitute dal by other proteins in our diet. Eggs are certainly a good high-protein substitute. But more appropriate for the masses will be soybeans. 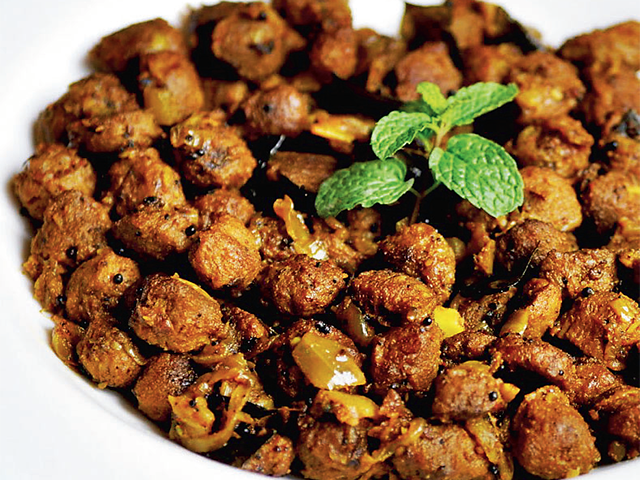 After oil extraction, the protein content of soya is 40-48%, against 20-25% for different dals. Yet, soya’s wholesale price is barely Rs 33 a kg. Indian consumers will initially resist a shift from dal to soya. After all, food habits are deeply ingrained and not easy to change. But remember that Keralites in the 1960s protested against the supply of cheap wheat to ration shops, claiming they had no idea how to cook it. Yet, today, they routinely consume wheat. Food habits can be changed if the price is right. In a Swaminomics column in January 2010 (goo.gl/wY4m7y), I had written, “Something similar can be done with soyabeans. Processed soya can be moulded into diverse shapes. So, companies can mould it into the shape of regular pulses, and call it soya dal.” I had suggested at the time that state governments could consider supplying soya dal through the public distribution system (PDS). This dal might taste different from other dals. Yet, the poor would surely buy it if it’s available at a low price. So far, many soya processors have been converting soya into nuggets that are cooked like vegetables, or into soya milk. But no major company has started making soya dal, or committing the huge funds that would be required for a big marketing push. So, I am heartened to hear that Nalini Singh, the well-known journalist and social activist, has decided to get into this business and launch into soya dal distribution through small kirana stores and some modern retailers. She has experimented with a combination of roughly 60% soya plus some dal and binding materials, processed into pellets shaped like dal. She claims that the initial consumer response has been positive. Singh sees in this a fantastic winwin solution, creating cheap, high protein food for the masses without any government subsidy and yet with great sales potential. If she succeeds, big consumer goods companies will also jump on to this bandwagon. This will not mean the end of arhar or moong dal consumption. The many dals of India are an important, culturally valuable part of all regional cuisines. But traditional dals will become part of the middle-class diet, like eggs, while the poor can shift to soya dal. That’s the way to go.